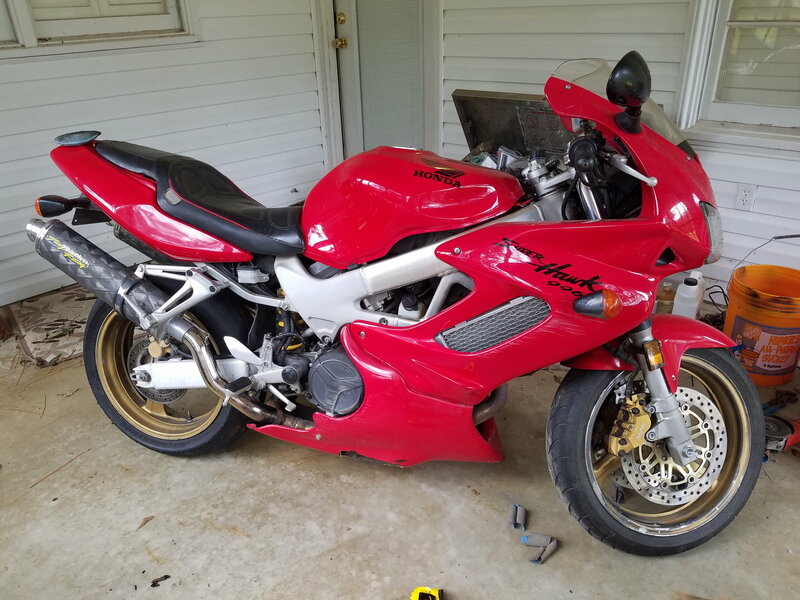 New member to the forum and I need some suggestions! Spent the day yesterday hand cutting and placing vinyl. 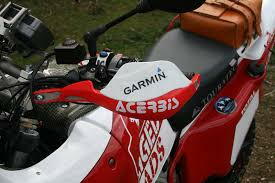 It's getting cold so I out a set of acerbis rally pro handguards on to knock off the wind. Has anyone ever seen a set of these installed? I'm having trouble mounting the inboard side, I know I'm gonna get scalded by a few and can assure you they're coming off when it gets warm again! Since I haven't done the single tube renthal bar and riser I can't see any other option than to tie them down with a heavy zip. My other question is what color should I go with the wheels? And yes my last name is Bond... Hence the 007 decals, but no I'm not a big fan of the Goldfinger wheel look, lol. Any help would be appreciated and I'm glad to join you guys! Think about trying to match the wheels to the engine cases/exhaust color. Simple is usually better. Don't ask how I know that. Removed, sanded and painted the front black today. The rear has some excess corrosion, ill remove it tomorrow and get started on it tomorrow as well. More pics coming soon. waiting on a zero grav touring windshield and vtr decals for the wheels and a few other things. I've been running handguards for many years. I just posted up a vid on how I mounted mine which had to be modded to fit my new cbr600rr front end with a much bigger master. I used artic cat handguards. How do yours mount since there is precious little room to bolt to. 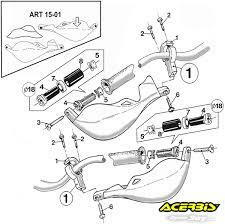 The AC guards replace the rear mount plate of the clutch and brake perch. The fiche diagram is the appropriate method. But since the levers are far too long I tilted them down slightly to run under the guards. I'm 6'4 so they're easier for me to operate at that position anyhow. 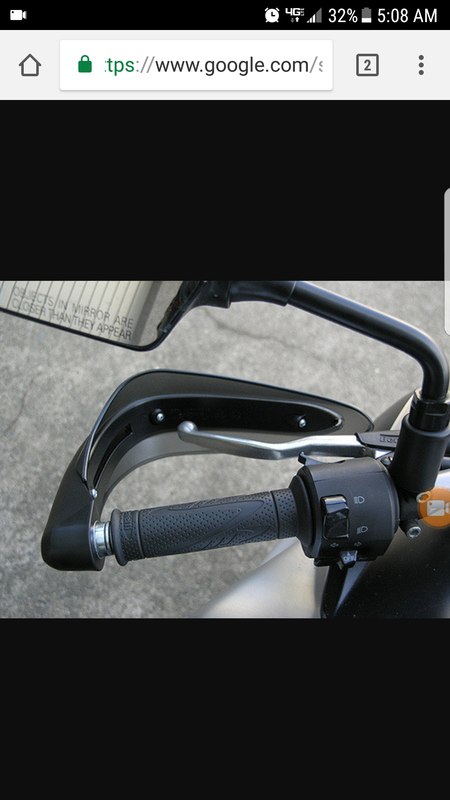 But since I haven't fitted a Superbike bar yet the inboard mount is zipped to the master cyl's with a heavy tie. The outboard is mounted via the existing bar end screw, removing the bar end as pictured above and installing the supplied internals would bring the guards too far in and would further reduce low speed (sharp turn) maneuverability. There is currently cowl contact when moving around the garage. I just received the spoilers like those in the second picture (white Garmin) and will post a pic when I get home. I've been thinking of ways to mount the inboard side, still working on it. I believe I'm going to "mod" mine like these. Oh I see now. So yeah that make sense no inboard room. Mine don't anchor outboard since they are for wind protection. I like the spoiler you showed. As the temp drops I am always thinking of making mine bigger. A still air pocket is the best case scenario. Last edited by smokinjoe73; 10-27-2017 at 05:44 AM. To vinyl wrap, or not to vinyl wrap? 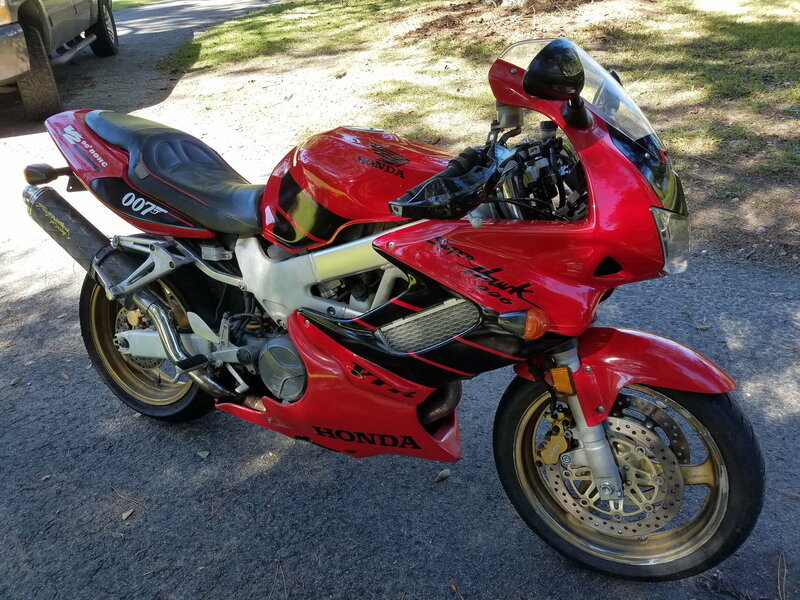 Quick Reply: Vinyl and handguards!